Arsenal sealed a massive 2-0 win in the first leg of their Europa League quarter-final match against Napoli after two first-half goals from Aaron Ramsey and Lucas Torreira. 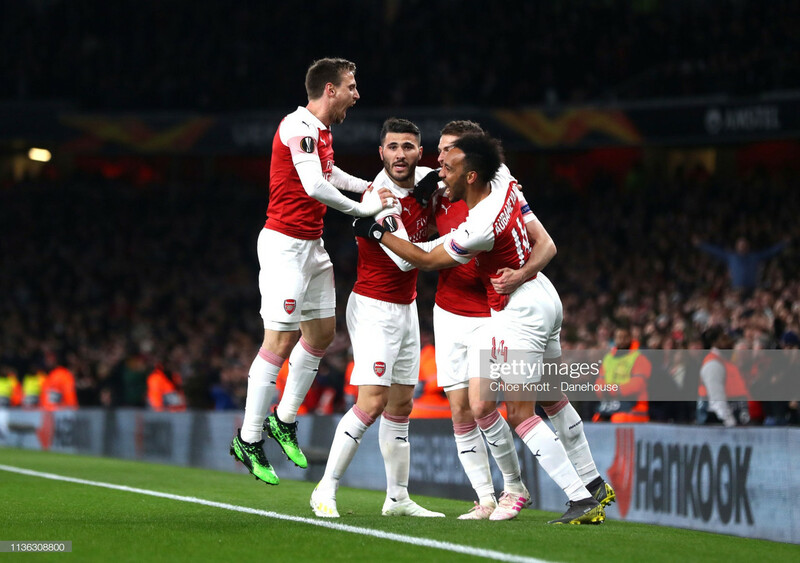 Ramsey got the ball rolling after a brilliant team move resulted in the Welshman neatly finishing the ball past Alex Meret in the 15th minute, before Torreira finished the job with a deflected shot from outside the area to send the Gunners to Naples next week with a good chance of progression to the semi’s of the Europa League. 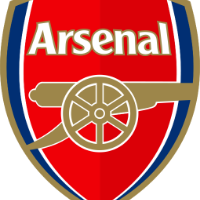 Arsenal got off to a good start, playing the ball around well and doing a good job in clearing up any Napoli attacks that cam there way, and after a quiet 15 minutes, the Gunners were able to take the lead through Ramsey. A quick break down the right wing saw Alexandre Lacazette feed in Ainsley Maitland-Niles into the area, who laid the ball to an open Ramsey, who perfectly slotted the ball past Meret to give the Gunners the vital opening goal. Things got even better for the Gunners when Torreira doubled the hosts lead 10 minutes after Ramsey’s opener. Pierre-Emerick Aubameyang started the move, weaving through the Napoli defence with grace before being tackled and giving possession to Torreira, who too burst through on goal, and with a neat cut-back fired past Meret from outside the area with some help from a Kalidou Koulibaly deflection to make it 2-0. Aubameyang came close to making it 3-0 five minutes before the break when the Gabon international fired from outside the area to catch Meret off his line, but the Italian youngster did well to get down quick and deny the Arsenal striker a goal going into halftime. 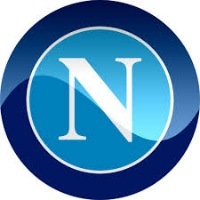 Napoli started the second half a lot more confident, finding space in an Arsenal defence that for the most part had been solid all game, but Petr Cech remained untested for the first stages after the restart. A brilliant save by Meret denied Maitland-Niles what looked like a guaranteed goal 70 minutes in before Napoli went on the counter and almost grabbed what would have been massive away goal, but for Piotr Zielinski, his sliding effort flew high over the bar. Arsenal and Napoli both had chances to add to the scoreline, but in the end, the north London side was able to hold on to their big 2-0 result as the two teams meet again in Naples next week for the deciding match. When Hector Bellerin comes back next season, it’s going to be difficult to kick Maitland Niles out of the team. Since stepping in for the injured defender the English youngster has been in great, consistent form, and he showed it again tonight. The versatile midfielder kept Napoli’s right-wing quiet all night, reducing the Italian side to half-chances at best, and his influence in the attack was even better, assisting the opening goal and proving to be a threat in the final third all match. Bellerin might be an important player in Unai Emery’s master plan, but keeping Maitland-Niles out of the team seems ridiculous in the form he is in. Torreira’ suspension has been a huge problem for Arsenal in the league, and tonight he showed that his return will be welcomed with open arms after another great performance. His goal ensured Arsenal go to Italy with a healthy lead and confidence the Gunners can get a result over the Serie A giants, and his defensive duties were yet again perfect. With a good 2-0 lead going into the big second-leg match next week, Arsenal will know they can’t afford to be sloppy in one of Europe’s scariest arenas. Napoli’s Sao Paulo stadium is one of the most intimidating stadiums in Europe, and with how defensively fragile the Gunners are on the road, Emery needs to ensure Arsenal aren’t on the other end of an embarrassing collapse.